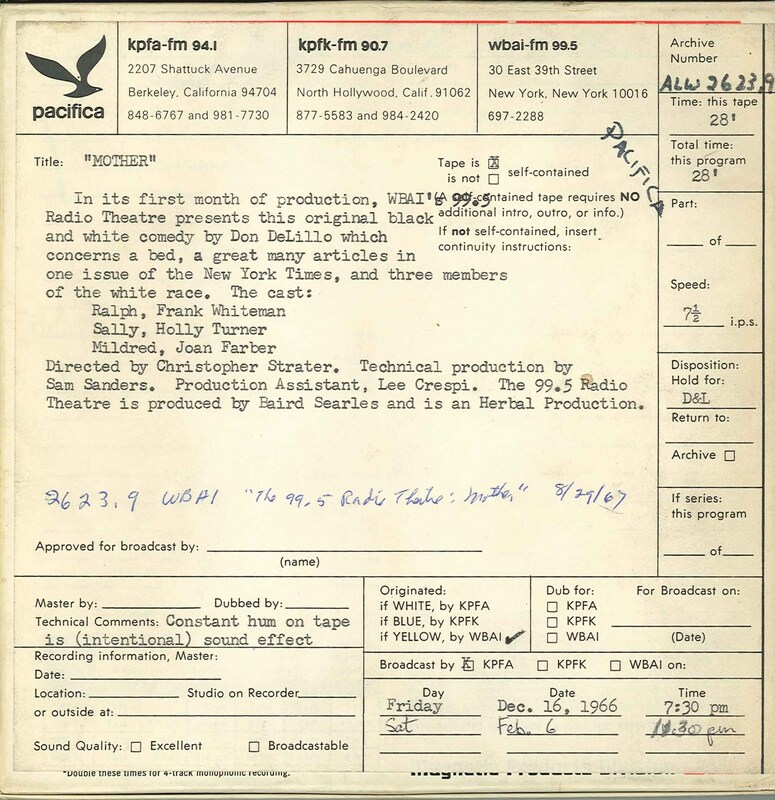 In its first month of production, WBAI's 99.5 Radio Theatre presented this comedy by Don DeLillo which concerns a bed, a great many articles in one issue of the New York Times, and three members of the white race. Starring Frank Whiteman as Ralph, Holly Turner as Sally, and Joan Farber as Mildred. Directed by Christopher Strater. Technical production by Sam Sanders. Produced by Baird Searles with production assistance by Lee Crespi. 99.5 Radio Theatre is an Herbal Production. This production was broadcast between 1966 and 1969. Note on the box reads: Constant hum on tape is (intentional) sound effect. This recording was formerly cataloged as BB3830.09 and as BB3810.17.